Mr. Ernest Williams was born to the union of Edna and Eugene Williams on November 1, 1929 in Milwaukee, Wisconsin. He received his education from Boys Technical High School in Milwaukee, Wisconsin. Ernest Williams was united in holy matrimony to Elizabeth Reed on April 1, 1951. Their union was blessed with two children, Dawn Rita and Valerie Williams. 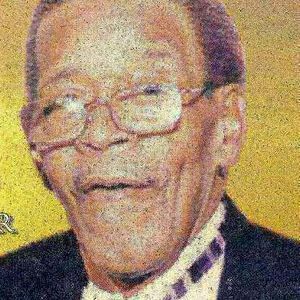 In 1951, Ernest joined the Armed Forces, serving his country in World War II with his brother Robert Williams. After the war, Ernest worked for several companies and eventually went into entrepreneurship as a store owner and owning several automotive shops. Everyone knew that he was the original "Tim the Tool Man" and he loved his Pepsi Cola. Before his passing, Ernest was a member of Calvary Iternational Worship Center Inc., under the leadership of Pastor Anthony and Twanda Franklin, which was formerly Mt. Calvary Holiness Church of America, under the leadership of Reverend Gertrude Pitts. He would faithfully read Psalms 91. Here is just one verse he would read, "I will say, of the Lord, He is my refuge and my fortress: my God; in him will I trust." Ernest departed this life on Apri1 15, 2012 at 10:05 A.M. He was preceded in death by his daughter, Dawn Rita Williams; parents, Eugene and Edna Williams; three brothers, Eugene, Matthew, and Lewis Williams; and sister, Joyce Williams. He leaves to cherish his memory: wife, Elizabeth Williams; daughter Valerie Williams; five granddaughters; seven great grandchildren; two children, Arnitta (Jason) McNeal, Donyae Williams; sister, Jacquelyn (Willie), Maben; brothers, Gerald (Linda) Williams, Robert (Theonita) Williams, Lawrence(Rita) Williams; sister-in-law Maryette Williams; and a host nieces, nephews, relatives and friends who will greatly miss him. I need help, I dont know if any one reads this but I need to get intouch with this family.